ESPN's Winter X Games 15 comes to Sky 3D | What Hi-Fi? It's the first ESPN 3D event to be shown in the UK, and will offer viewers the chance to watch the Ski and Snowboard competitions for SuperPipe, Sloopestyle and Big Air events. ESPN's coverage was filmed using 15 3D cameras that included ultra slow motion, flycam, crane-mounted and wireless skier-mounted 3D camera rigs. This year marked the tenth consecutive year Winter Games X was held in Aspen and the first to get the full 3D broadcast treatment. The second Winter X Games Europe will be held in Tignes, France on March 16th-18th. "It's great to be working with broadcasters like ESPN who are embracing what 3D can do for different genres of TV entertainment," says John Cassy, channel director, Sky 3D. "Adding an exhilirating event like the Winter X Games to our channel line-up shows how we are building our ambition to make Sky 3D the home of great 3D from Sky and other broadcasters." 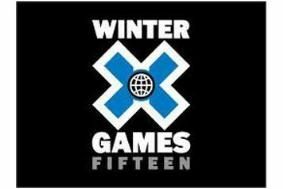 Sky/ESPN's 3D coverage of the Winter X Games 15 starts on February 18th at 9am and runs to March 30th.